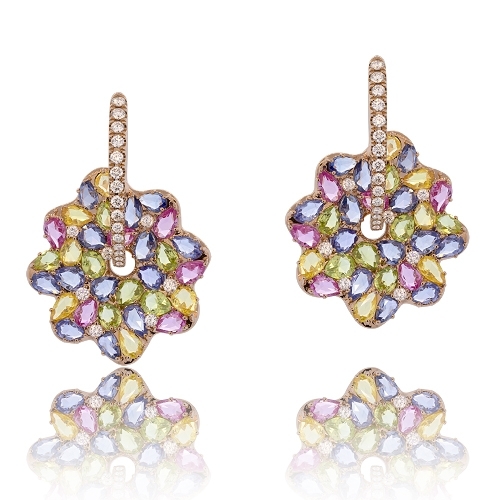 Dangle earrings in a leaf design of multicolored sapphires, peridot & diamonds mounted in 18k rose gold. Diamonds approx. 1.22ct. Earrings 1.5"